A sound retirement income plan takes into account several financial risks including the potential for the retiree to outlive his or her assets and the effects of inflation on future income. Other considerations include rising living and healthcare costs, as well as taking excess withdrawals from your retirement account and uncertainty about the future of Social Security benefits. The overall objective of planning should be to create a sustainable stream of income that also has the potential to increase over time. Longevity risk: the possibility that you will outlive your savings. We’re living longer, healthier lives. Investment risk: the possibility that an actual return on investment will be lower than your expected return. There are other important considerations that can impact your long-term financial security too, including factors like rising living and healthcare costs, as well as uncertainty about the future of Social Security benefits. Understanding and addressing each of these challenges can lead to more confident retirement preparation. While most people look forward to living a long life, they also want to make sure their longevity is supported by a comfortable financial cushion. As the average life span has steadily lengthened due to advances in medicine and sanitation, the chance of prematurely depleting one's retirement assets has become a matter of great concern. 50% chance at least one of a 65-year-old couple will reach age 89. Source: Social Security Administration, Period Life Table, 2007. >> Related: Use the Social Security Administration's life expectancy calculator to estimate your longevity. The decision about how much money may be safely withdrawn each year from a retirement nest egg needs to take into consideration all the risks mentioned above. But retirees also must consider the fluctuating returns that their personal savings and investments are likely to produce over time, as well as the overall health of the financial markets and the economy during their withdrawal period. The stock market's collapse in 2008, after a short bull market run following the Tech Bubble, illustrates the dangers of withdrawing too much too soon. Investors have short memories and often forget that the market was down 50% from it's high in March 2009. Withdrawing 7 percent or even more per year from a retirement portfolio during the bull market years might have seemed a reasonable rate. But the ensuing bear market in stocks raised the possibility that the value of a retiree's portfolio might be reduced as a result of stock market losses, increasing the chance that the retiree would outlive his assets. The increase in the price of certain items varies over time as well as from region to region and according to personal lifestyle. Through many ups and downs, U.S. consumer annual inflation has averaged about 3 percent since 1926. If inflation were to continue increasing at a 3 percent annual rate, a dollar would be worth only 54 cents in just 20 years. Conversely, the price of an automobile that costs $23,000 today would rise to more than $41,000 within two decades. it potentially erodes the value of assets set aside to meet those costs -- if those assets earn less than the rate of inflation. Healthcare expenses have increased at a faster pace than the overall inflation rate. Many employers have reduced or eliminated medical coverage for retired employees. In addition, the nation's aging population has placed a heavier burden on Medicare, the federal medical insurance program for those aged 65 and older, in turn forcing Medicare recipients to contribute more toward their benefits and to purchase supplemental insurance policies. The Employee Benefit Research Institute has estimated that if recent trends continue, a typical retiree who is age 65 now and lives to age 90 will need to allocate about $180,000 of his or her nest egg just for medical costs, including premiums for Medicare and "Medigap" insurance to supplement Medicare. Because of the higher cost trends affecting private health insurance, the same retiree relying on insurance coverage from a former employer may need to allot nearly $300,000 to pay health insurance and Medicare premiums, as well as out-of pocket medical bills. 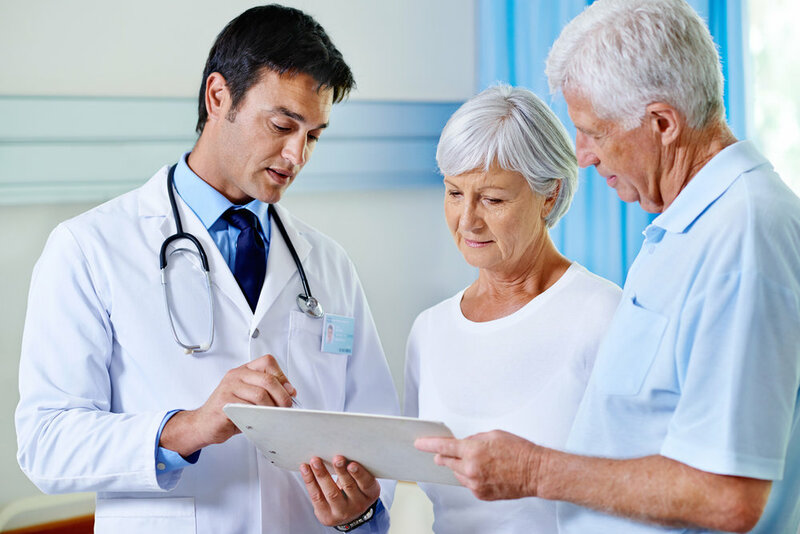 >> Related: CWM White paper - Retiree Healthcare: What Will It Cost You? The demographic forces that have led to an increasingly older population are expected to continue, putting more pressure on the financial resources of the Social Security system -- the government safety net that currently provides more than half of the income for six out of 10 Americans aged 65 or older. This isn’t a pressing issue at the current time, but with ongoing discussions about how to revamp Social Security to keep it solvent for longer, it is wise to consider Social Security maximization strategies in your retirement planning. While the risks discussed above are common to most people, their impact on retirement income varies from person to person. Before you can develop a realistic plan aimed at providing a sustainable stream of income for your retirement, you will have to relate each risk to your unique situation. For example, if you are in good health and intend to retire in your mid-60s, you may want to plan for a retirement lasting 30 years or longer. And when you estimate the effects of inflation, you may decide that after you retire you should continue to invest a portion of your assets in investments with the potential to outpace inflation. Developing a realistic plan to address the financial risks you face in retirement may seem beyond you. But you don't have to go it alone. At Cambridge Wealth Management, we offer an array of financial planning and investment services. So no matter where you are in life – whatever complexities you may face – our experienced advisors are equipped to help you find clarity and guide you along the most effective path towards achieving your retirement plan goals. 1. Source: Social Security Administration, Period Life Table, 2007 (latest available). 2. Source: DST Systems, Inc. This example is a compilation of all 30-calendar-year holding periods from 1926 to 2015, based on a portfolio of 60% U.S. stocks and 40% long-term U.S. government bonds, with annual withdrawals adjusted for actual historical changes in the Consumer Price Index. The example is not intended as investment advice. Actual sustainable withdrawal rates ranged from 3.7% to 11.4% in the periods studied. Please consult a financial advisor if you have questions about choosing a withdrawal rate and how it relates to your own financial situation. Investors should carefully consider their own investment objectives and never rely on any single chart, graph or marketing piece to make decisions. The information contained in this piece is intended for information only, is not a recommendation and should not be considered investment advice. Please contact your financial adviser with questions about your specific needs and circumstances. Cambridge Wealth Management reorganized parts of the introduction, middle, and closing paragraphs, added the clickable links, and the chart titled "Retirement costs soar for Uncle Sam." All data are driven from publicly available information and has not been independently verified by Cambridge Wealth Management, LLC. Certain statements contained within are forward-looking statements including, but not limited to, predictions or indications of future events, trends, plans or objectives. Undue reliance should not be placed on such statements because, by their nature, they are subject to known and unknown risks and uncertainties.